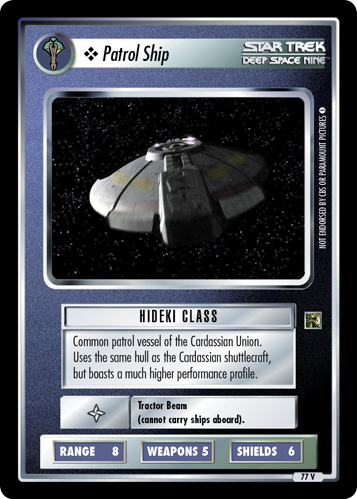 Common patrol vessel of the Cardassian Union. Uses the same hull as the Cardassian shuttlecraft, but boasts a much higher performance profile. Tractor Beam (cannot carry ships aboard). Image Source: Deep Space Nine: "Tribunal"